John R. Fleck, Jr. Ellenville, N.Y.—affectionately known as Jack—passed away peacefully on Saturday March 30, at The Golden Hill Rehabilitation and Nursing Home in Kingston, NY. He was 89. The son of the late John R. Fleck, Sr. and Frances Presber, Jack was born in Queens, NY, on May 24, 1929, and graduated from Malvern High School on Long Island. He proudly served in the United States Army during the Korean War, being honorably discharged in 1951 at the rank of Corporal. A graduate of the Delahanty Institute in New York City, he was a police officer with the Garden City Long Island Police Department, then commenced a 38-year career with New York State Department of Corrections starting at The Greenhaven Prison, Stormville, N.Y. for one year and retiring 37 years later from Eastern Correctional Facility in Napanoch, NY. He married Marilyn T. Stackhouse in February 1962 at St. Mary’s & St. Andrew’s Roman Catholic Church in Ellenville, NY. He is survived by Marilyn, his loving wife of 57 years in Ellenville; his son, William J. (and wife Kim M. Simons) of Wurtsboro, NY; his son Steven R. (and wife Therese DeMatteo) of Guilford, CT; his niece Darleen Moore of Ashville, NC; and four grandsons—Michael T. Fleck of Albany, NY, James R. Fleck of Wilmington, NC, Trevor R. Fleck of Guilford, CT, and Gavin W. Fleck of Guilford, CT. Jack was predeceased by his sister, Frances M. Mills, and brother-in-law Owen S. Mills, of Ashville, NC; and his brother-in-law, William J. Stackhouse. He was a 64-year Life Member of the Wawarsing Rod & Gun Club in Napanoch, NY; a member of The American Legion Post 111 in Ellenville, NY since 1957 ; a past member of St. Mary’s & St. Andrew’s choir, where he was also a communicant since 1955; and a former member of the B.P.O.E. in Napanoch, NY. He was a 40 year plus friend of Bill W.
He attended Ulster County Community College in Stone Ridge, NY, and graduated from The New York Institute of Photography. Jack was an avid photographer, a talented guitar player and singer, an enthusiastic amateur filmmaker, and a huge fan of classic horror movies. He also had a unique and compelling sense of humor, as anyone who ever met him can attest. 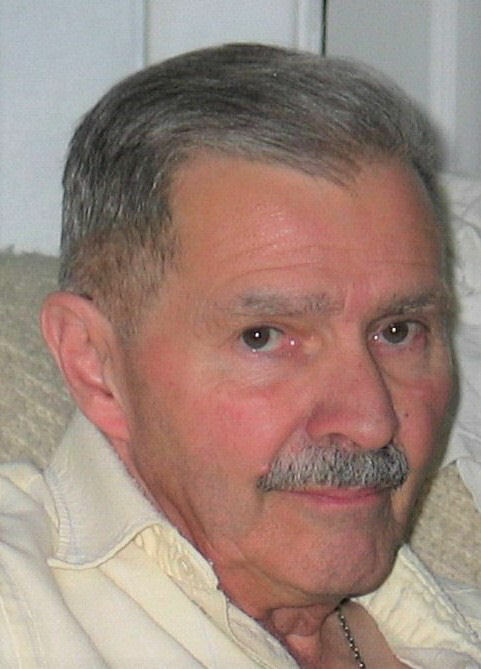 He also had a lifelong interest in hunting and enjoying the outdoors, particularly in the state of Maine. Jack’s family would like to thank Fathers Kenneth Riello and Vijaya Shekar from St. Mary’s and St. Andrew’s Parish in Ellenville, N.Y. for their many prayers, visits to see him and their support during his illness. They would also like to thank his many relatives and friends too numerous to mention here for their visits, phone calls, concerns and prayers throughout his illness. They are also very grateful for the many doctors and staff at Crystal Run Healthcare, the Swing Bed Unit at Ellenville Community Hospital, Orange Regional Medical Center in Middletown, NY, and The Golden Hill Nursing Home and Rehabilitation Center in Kingston, New York for providing Jack with outstanding, dedicated and compassionate care especially during this past year. Family and friends are invited to gather from 2 to 5 PM on Tuesday, April 2nd at The Loucks Funeral Home, 79 North Main Street, Ellenville, NY. A Mass of Christian burial will be offered on Wednesday April 3rd at St. Mary’s & St. Andrew’s Roman Catholic Church in Ellenville, NY at 10:00 AM. In lieu of flowers, donations may be made in Jack’s name to St. Mary’s & St. Andrew’s Church in Ellenville, NY, or American Life League (Judie Brown) PO Box 1350 Stafford, Virginia 22555.